Nationwide home prices continued to inch up in November, according to Lender Processing Services’ (LPS) Home Price Index (HPI) for the month. LPS’ data showed home prices increased to an average $207,000 in November, an increase of 0.5 percent from $206,000 in October. 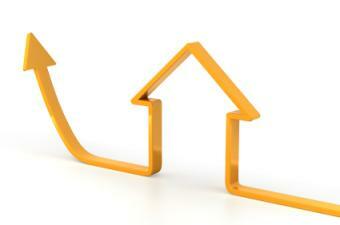 On a year-over-year basis, prices were up 5.1 percent from November 2011’s $197,000. I hear from friends in Southern California that prices are on the rise and multiple offers over asking price are becoming a reality. The take away from all of this data? If buying, prices seem to be rising — when you find something you like, be prepared to make an offer. 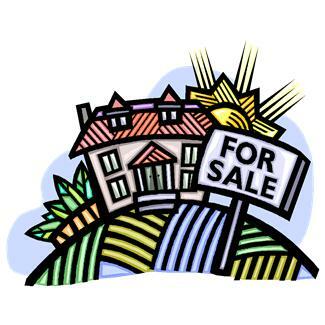 If selling, patience and pricing your property right is important (we are selling off old inventory some of which was not priced appropriately). A qualified real estate agent can help whether you are buying or selling. We all know houses are not selling like they used to. If you are considering selling your home, there are several tips that will make it easier to sell. First impressions make a huge difference between a sale or no sale. These tips apply to any economy or market. Less is More: Even if you have not moved out, removing some furniture can help the home feel more spacious. This also provides a potential buyer with a better visual of how the property could look as their home. Odor Control: Sometimes homes have an odor you may not even notice since you there every day. Ask a friend (or your agent) to be honest about any odor. While the house is on the market, take the trash out every day and clean the refrigerator regularly. If you have pets, keep an eye on the situation (i.e. litter box). I have been in some gorgeous homes but a strong offensive odor has turned buyers away. The Little Things: There are small and often inexpensive changes you can complete yourself to freshen up your home. For example, replace dated/cracked light switch covers , install new hardware on cabinets, remove broken window treatment (no window covering is often better than broken blinds). Although potential buyers know the house is lived it, it is helpful to remove excess clutter such as newspapers, mail, laundry and shoes. A Neutral Appeal: If you have customized every room with dark paint or wall paper, you may want to update the colors to a more neutral tone. This can help potential buyers create their own vision for the home and also when they are comparing their options, your home may need less investment and work if they buy the house. Curb Appeal: This one is pretty obvious to most but again look at the exterior of your home from the potential buyers’ perspective. Is the home welcoming? Is there a clear path to the front door? Is the front porch clean and appealing? Keep these tips in mind when selling your property. The best way to do this is to walk through your home with an honest friend as if you are both touring the home for the first time. An experience real estate agent can also help.